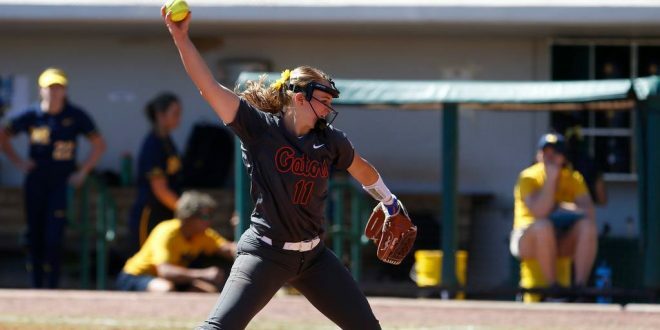 The Gator softball team had its home opener for this season take place on Friday as they hosted the Aquafina Invitational. Due to weather concerns for Sunday’s match up against Florida A&M, the game was rescheduled for Friday afternoon. Florida is now 8-0 after wins over Florida A&M (8-1) and Northwestern State (9-3). 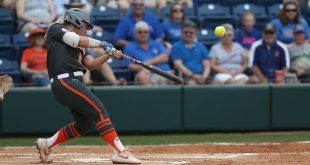 During the first game of the day for the Gators against Florida A&M, Florida scored got to a good start as Kayli Kvistad singled in a run as the Gators would plate three runs in the bottom of the first inning after a bases loaded walk and an RBI single. 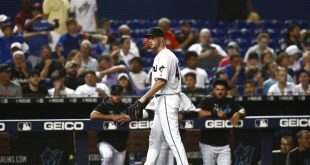 Florida built a 6-0 lead before the Rattlers scored their only run in the fifth inning on a wild pitch. Kelly Barnhill tossed four scoreless innings in the opener to get the win while Katie Chronister picked up the save. Jaimie Hoover led the way offensively for the Gators with three RBI in the game. 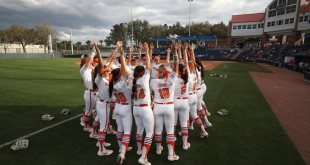 The Gators opened the scoring with a two run home by Kayli Kvistad that scored Amanda Lorenz ahead of her; in the fourth inning, an RBI double by Sophia Reynoso plated Alesia Ocasio to score on the play. In the fifth inning the Demons scored three times to tie the game at 3-and chase Ocasio, the Gator starter in the circle; she was replaced by Delanie Gourley. But Florida would strike back quickly to regain the lead. The Gators scored six runs in the sixth on a hit by pitch, two bases loaded walks, a Kvistad RBI single and a Chelsea Herndon RBI single. Ocasio closed out the scoring with a run scoring single of her own. The comeback win keeps the Gators unbeaten on the young season. 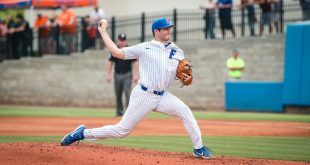 Florida will return to action for the second day of the Aquafina Invitational on Saturday at 11:15 a.m. against Maryland and a rematch with Northwestern State at 1:30 p.m.